Teams from Moscow State University (MSU) and the University of Lausanne won the 2019 Europe, Middle East and Africa (EMEA) Regional Final of the CFA Institute Research Challenge competition among 43 best teams across 40 CFA societies across the region. For the first time in 14 years of existence of this prestigious global competition, both CFA Association Russia and the entire Russian financial education system, which over the past several years has risen to a new level, is celebrating a major success on the global stage. This year, over 1 100 universities across 85 countries participated in local Research Challenge competitions. Local level competitions are organized by CFA Institute societies around the world. At the next stage, a winning team from each local competition advances to one of the three regional finals – EMEA, Asia-Pacific (APAC) and the Americas. Over the recent years, the Russian stage of Research Challenge had around 60 universities, including schools from neighboring Azerbaijan and Belarus, which made CFA Russia’s local challenge a truly international event. Being one of the largest societies in the EMEA region based on a number of participating universities every year, CFA Russia sent two teams to the regional final – MSU and a team from the Banking Institute of the Higher School of Economics. 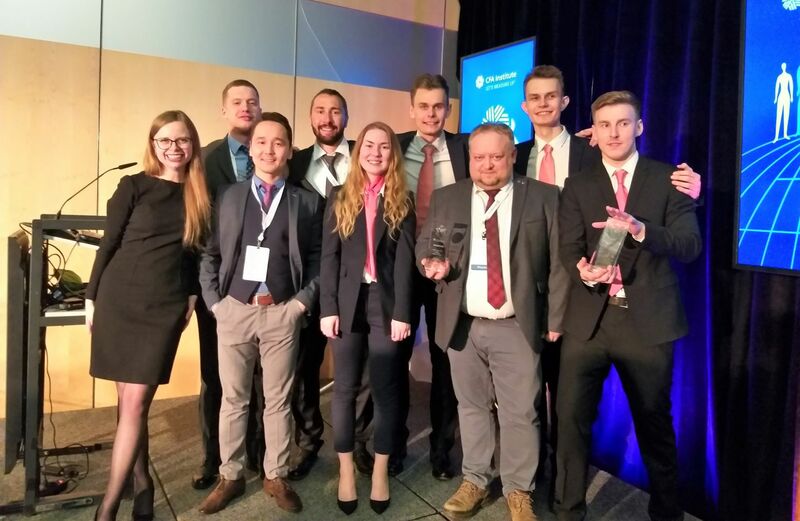 Having been crowned as the 2019 EMEA champions in Zurich on April 11, the team from MSU – Leonid Ilyanoy, Daria Telepneva, Gleb Bobkov and Pavel Kabeshov, their faculty adviser, Dr. Sergey Studnikov, and industry mentor, Ilya Gurov, CFA – will now represent our part of the world in the Global Final. For the first time in the history of Research Challenge, a team from Russia will be competing against other regional champions at the global stage. A team from the Philippines will represent the APAC region while the best team out of the Western hemisphere will be determined next week during the Americas regional final. Over the next two weeks, the first key challenge for the best team in the EMEA Region won’t be about showcasing their intellectual strength, but about attempting to obtain US entry visas for the team members in a very short time. This will prove that the global finance competition among the world’s best universities can overcome political borders that separate CFA societies across the world.